Discover all of Nomination's birthday gift ideas: men's, women's and children's jewellery that’s 100% Made in Italy, for a truly special present for the people you love! 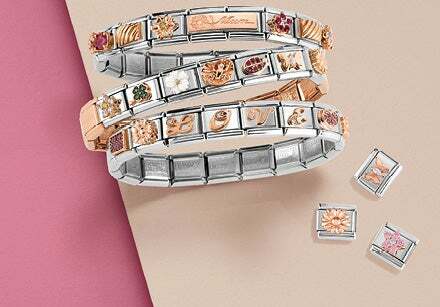 Trendy, high-quality jewellery made with the finest materials: stainless steel, yellow and rose gold, sterling silver, bright gemstones, coloured Cubic Zirconia and enamels. Among our accessories you’ll find the perfect gift for every occasion and for all the people you care about the most, whether they’re family or friends! What are some of our gift ideas for your loved ones on their birthdays? Elegant necklaces, bracelets for him and her, precious rings, fashion earrings, cufflinks for him and watches. Browse our catalogue full of great ideas and choose meaningful gifts for all the people you care about the most. The most original gift idea is the one you create just the way you want! Our suggestion for how to make every moment special? A customised Composable bracelet! Choose the Links and charms with your favourite symbols and compose the perfect bracelet for an amazing birthday present to someone special! 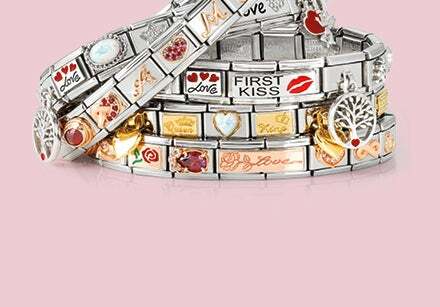 Among Nomination’s selection you’ll find many Links which represent important achievements, but also zodiac signs, sweet symbols to say “I love you” to someone you care about, and good luck charms. 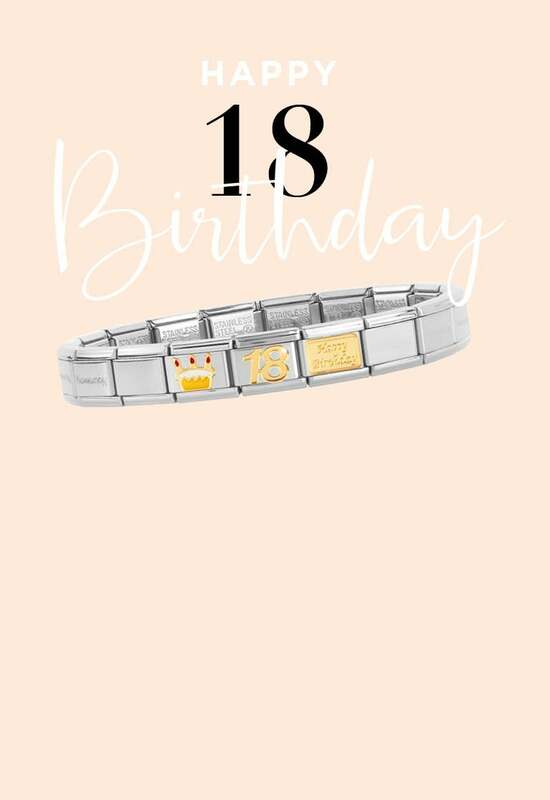 Discover all the Classic and Double Links and compose the perfect bracelet to wish a happy birthday to a family member or to an amazing friend. Is your boyfriend's birthday coming up and you still have no idea what to get him? Want to surprise your dad and give him something special? This year one of your friends has hit a major milestone like turning 30? We’ve got several tips for choosing the right gift. Among our men's, boy's and children's jewellery you’ll find lots of bracelets, necklaces, watches and sunglasses: all high-quality accessories, perfect as a special gift for one of the most important men of your life on his birthday. From customisable Composable bracelets with Links for men, to elegant bracelets from the Trendsetter Collection. Many of the men's jewellery items can be embellished with a personalised engraving on the back: pendant necklaces, bracelets and key chains in stainless steel which contain your special message. 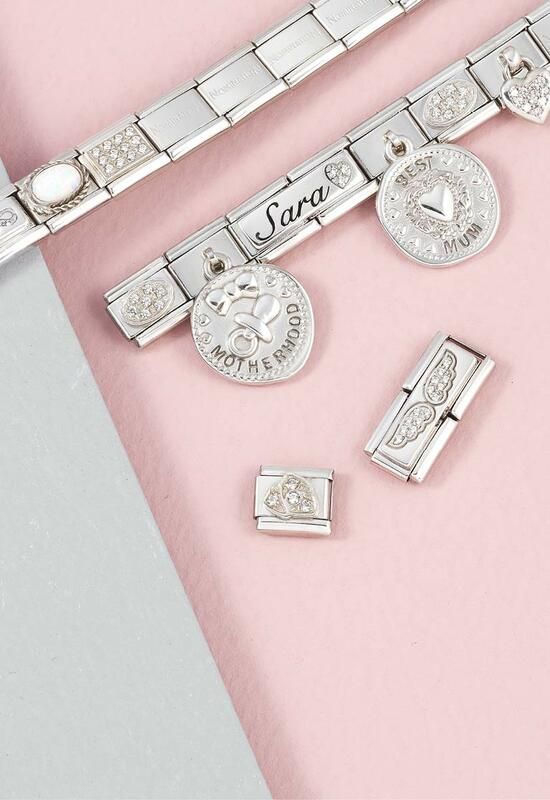 And there are even more options for her birthday: you just have to choose the jewellery which best suits the girl, woman or child who you want to wish a happy birthday! Opt for a pendant necklace if you’re looking for jewellery they can wear on every occasion: you’ll find the perfect accessories for elegant moments, such as those from the Bella Collection, to the most romantic, adorned with pendants that are appropriate even for kids. There are tons of Nomination bracelets for her: the Extension, Stella and Armonie collections offer stainless steel and sterling silver jewellery embellished with precious details and gemstones, and are perfect for every woman who wants jewellery that’s always on trend. In addition to these, there are many more Nomination jewels and accessories among the birthday gift ideas: discover all the bracelets, rings, necklaces, watches and earrings selected for you and for your most important gifts!